The Chinese New Year is an important event and you should not miss it! Here are some informations which might be useful. Every year, between mid–January and the middle of February, thousands of people gather together in the West End to be present at the different ceremonies organized by the Chinese community. Indeed, in London, the Chinese New Year always takes an extraordinary direction. It is here that the celebrations are the most important outside Asian countries. 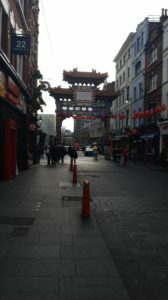 This year, the Chinese New Year festival (organized by the London Chinatown Chinese Association) will occur on the Sunday 10th of February. Generally, the festivities will take place from the Shaftesbury’s avenue to Trafalgar Square. At Trafalgar Square, you will attend the speeches, the thanks, Chinese dance and music performances and a lot of other things. Furthermore, it is here that the main celebrations will take place like the famous Chinese New Year Parade during which you will encounter more than 50 teams that parade on board of their traditional floats. During this parade, you will also can admire the dragon or lion’s dances in the air. As you understood, the roads will be a little bit jammed so you should prepare you travel in advance and be there in advance too. Click on this link if you want more informations about this day. Of course, you can attend to these celebrations without fee. So, don’t miss this event and leave you being amazed!